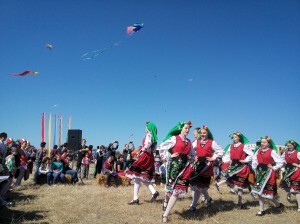 This is a colorful, lively and definitely original event marking the end of summer, which originated six years ago as a part of a nature conservation initiative aiming to attract the attention to the Red-breasted Goose, which is emblematic of the area. 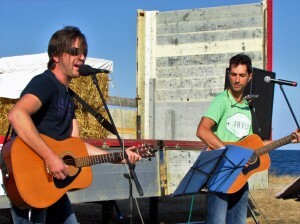 Currently the festival is organized by the Municipality of Shabla and Green Training Center – Shabla, with the support of the Wildlife Conservation Society. During the festival days hundreds of kites dot the sky over the coast south of Shabla Lighthouse and the spacious meadows are transformed into a platform for young artists – musicians, dancers, actors and painters. 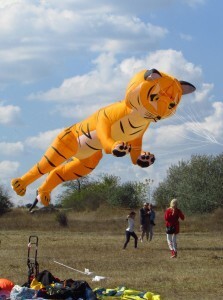 Skillful kite flyers from all over Bulgaria and neighboring Romania, Turkey, Greece, Ukraine and other countries demonstrate their huge handmade kites. Traditionally, tents hosting workshops for making kites, jewelry and cards and souvenirs of natural materials are located in the area. There are stalls selling handmade mementos and a special place is reserved for a bio-market where local producers offer ecologically produced local products (fruits, vegetables and honey). Short bird watching trips to the nearby Tuzla Lagoon and Tjulenovo are also organized. Colorful events and beautiful scenery, especially when combined together, inevitably attract the attention of photographers, artists and other lovers of the visual arts. Every year we invite all photographers – amateurs and professionals – to take part in our pain air photo contest for editorial and artistic photography. At a later stage we select the 20 best photos and organize a photo exhibition to promote the event. Experience from previous years has shown that the time and place of the event is suitable for wildlife photographers too, who make excellent shots of the migrating storks, pelicans, honey-buzzards, harriers, eagles and other raptors. As part of the photographic events during the Festival of Kites – Shabla 2016, for instance, we featured our WILDLIFE OF NORTHEASTERN BULGARIA photo selection in the hall of Green Training Center – Shabla at the official opening of the festival. The exhibition is devoted to the birds, the rich diversity and natural beauty of this region. 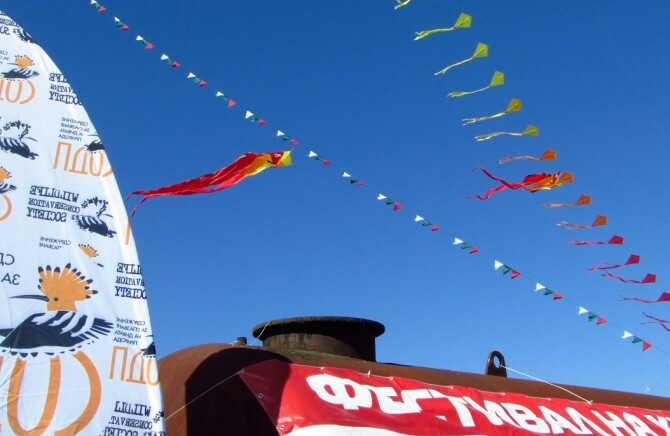 There is a variety accompanying events held during the festival, ranging from graffiti shows in which street artists from the country and abroad paint on old gas tanks, on fishing boats and other unusual “canvases” their vision and messages relating to the protection of nature, concerts, painting and photo exhibitions in the beautiful stone building of Green Training Center Shabla. 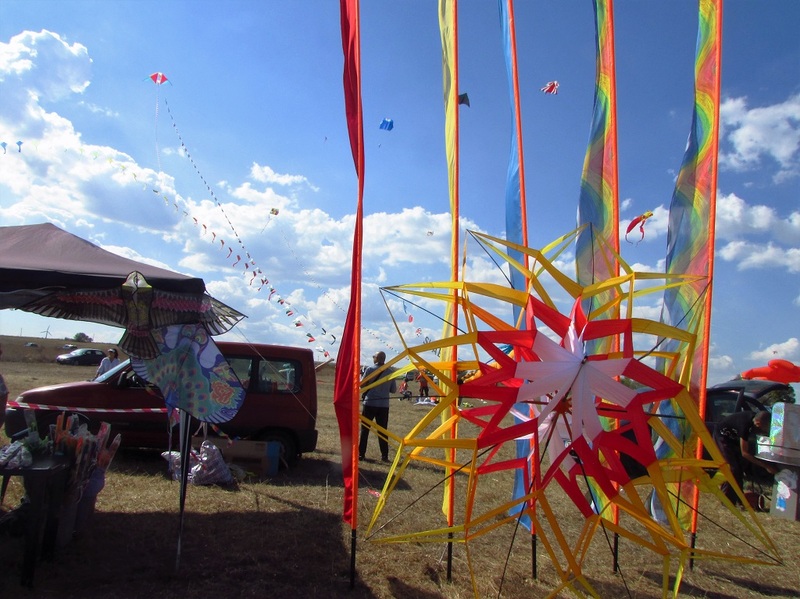 With the assortment of activities that the festival includes, it provides excellent opportunities for promoting creativity, strengthening family ties and cheerful leisure. 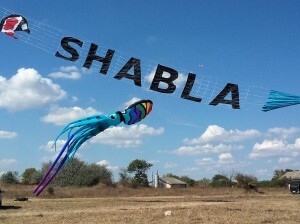 The natural beauty of the region – sloping rocky shores and wide meadows with constant breeze – have made Kite Festival Shabla a popular entertainment event with the perfect opportunity to promote the idea of protecting the region’s unique wildlife and beautiful landscape. Attracting participants and guests from home and abroad, the festival gives a positive sign for the sustainable development of the region and promotes the image of Bulgaria as a country that respects and cherishes its natural heritage.